CHICAGO, IL — Days before the Chicago Plan Commission approved plans for the Obama Presidential Center, a federal lawsuit was filed to block the proposed $500 million facility that will be built in Jackson Park. The 500-acre park is located in Chicago’s predominately Black Woodlawn and South Shore neighborhoods, where former First Lady Michelle Obama, rapper Kanye West and some of the nation’s most prominent Blacks once lived. 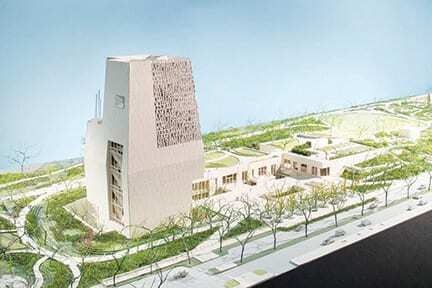 On Thursday, May 17, the Chicago Plan Commission unanimously approved the blueprints for the Obama Presidential Center, despite emotional appeals from protestors who are concerned that the library will eventually drive up rents in the neighborhoods and force out longtime, low-income residents. The plans now go before the city’s 50-member city council. While those plans are expected to pass that stage, the Obama Foundation faces a lawsuit that may be its biggest hurdle yet. Protect Our Parks says that city officials are “prohibited by law” from turning over public park land to a non-governmental private entity for private use. At a meeting Thursday, May 17, the commission was expected to take up a resolution authorizing a long-term ground lease for 19.3 acres in Jackson Park from the city to the Obama Foundation. In March 2015, Chicago’s city council approved an ordinance for Chicago Park District land in Jackson Park to be transferred to the city of Chicago to lease to the Obama Foundation. 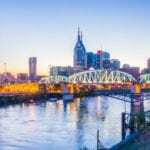 Protect Our Parks’ lawsuit may force planning officials to rewrite the ordinance. Protect Our Parks is being represented by Roth Fioretti; Robert Fioretti is a former Chicago alderman who challenged Mayor Rahm Emanuel in 2015 before endorsing Emanuel in the run-off. More recently, Fioretti was defeated in a March Democratic primary bid for Cook County Board president. Emanuel said that the papers will be digitized. “While we are not involved with this lawsuit in any way, it is an indication of the fact the Friends of the Parks is not alone in our concern about Chicago’s parks being seen as sites for real estate development,” Irizarry said. Plans have not gone smoothly for the library since President Barack Obama announced that Jackson Park will be the location of his library in 2016. Residents in Woodlawn and South shore have held numerous protests demanding that the Obama Foundation sign a community benefits agreement as concerns of neighborhood gentrification and rising rents continue to grow. Despite their concerns, Obama has said that a community benefits agreement is not necessary, because his library is an automatic benefit to the neighborhoods.